Not warm per se, but decent for Kansas in February! Our new Lakewood Colorado store is operating and running smoothly. 2 new employees are trained and doing well, and our new store manager, Chris seems to really be getting into the groove. It’s good to know that location is in good hands. Our new plan of routing repairs to our Colorado location is working well. It’s a little pressure relief for the technicians here in Kansas, and it’s helping us get ahead of our turn around times. Our Colorado store is in a fantastic location. In fact, I’m considering spending a little more time in Colorado in the next couple of months. So from the office or from the road, you can count on us to continually drive for new programs and refresh our services. In fact, Melanie and I are working on streamlining our website as we speak to make the customer checkout process simpler and easier to use. Check back on missionrepair.com within the next couple of days to see what I’m talking about, it’s progress. 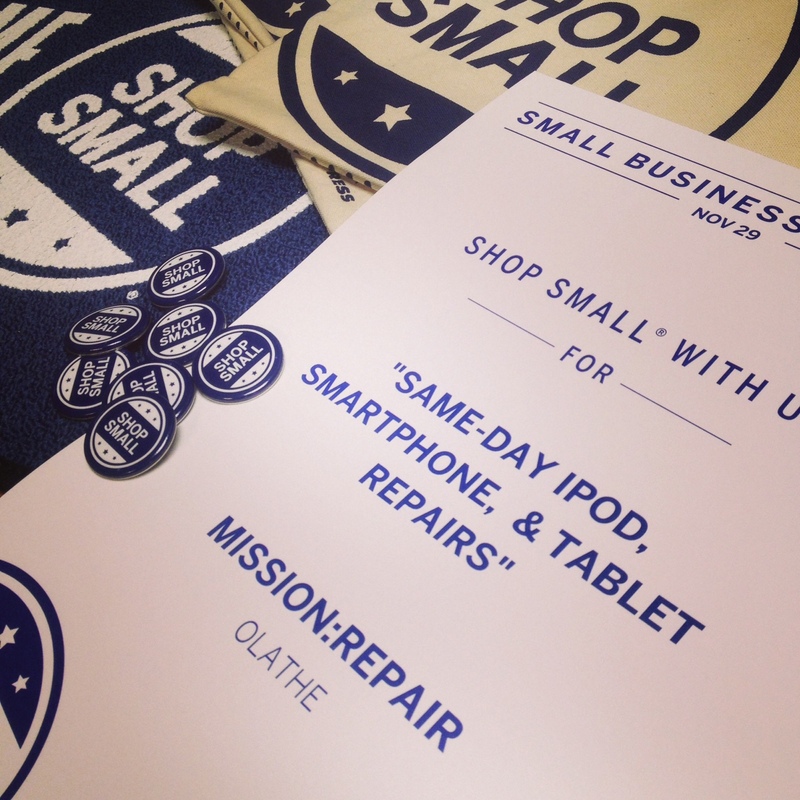 Shop Local – iPod, Smartphone & Tablet Repairs + A Free Gift! We are gearing up for the Holidays here at Mission:Repair! It is a busy time of year for everyone and as usual, we are bringing you Holiday specials and promotions. One of which is Small Business Saturday. This is NEXT Saturday, November 29th, 2014. Small Business Saturday encourages customers across the nation to ‘shop small’ by shopping at their local businesses. Four years ago, American Express founded Small Business Saturday to help local businesses gain more customers. Small Business Saturday encourages people to shop at small businesses on the Saturday after Thanksgiving every year. 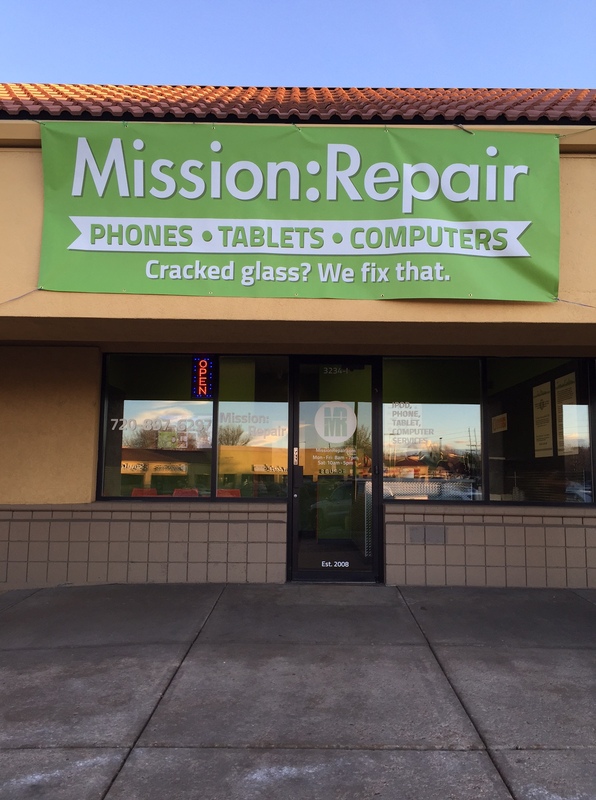 Black Friday is a big shopping holiday across the nation and we are doing our part to make Small Business Saturday a success for small local businesses such as Mission:Repair. 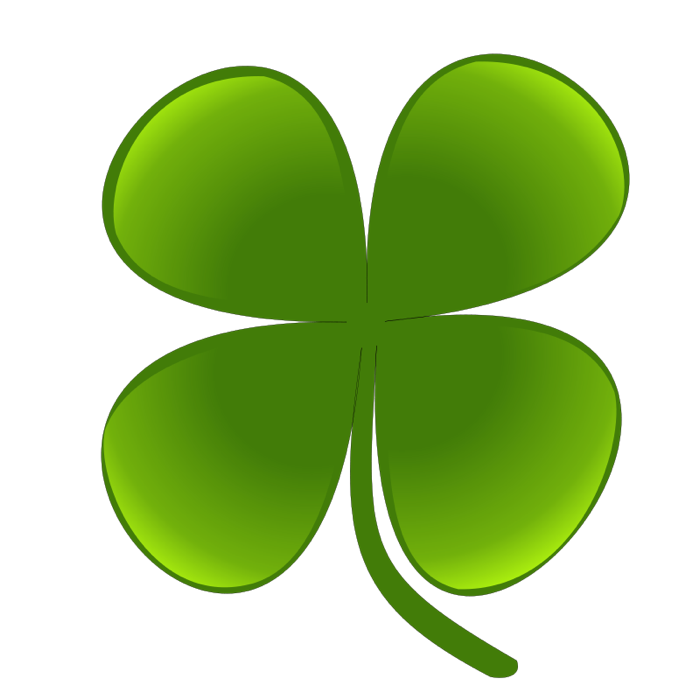 Although we ship nationwide and service every address in the USA, we are a small business with two locations in Kansas. One in Mission, KS and one in Olathe, KS. 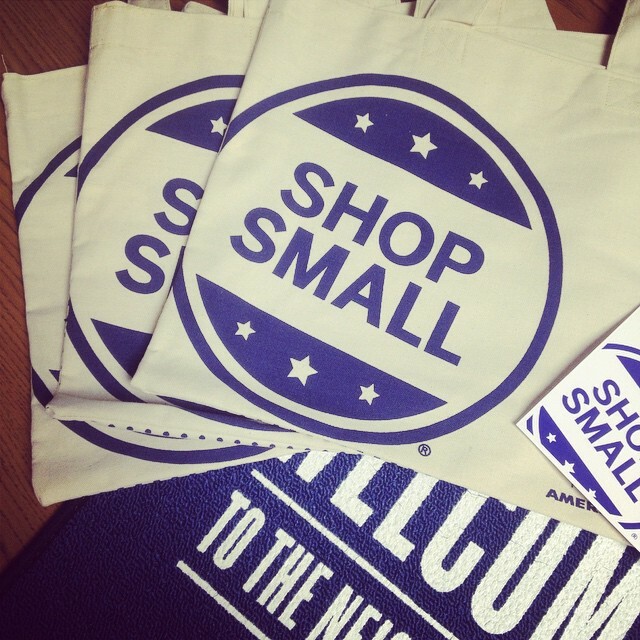 So, for all walk-in customers that visit either of our locations and place an order on Saturday, November 29th, 2014 we are giving away a FREE “Shop Small” tote bag (while supplies last)! Check them out below, pretty cool right? We will also have our posters hanging, welcome mat ready, Shop Small buttons and stickers as well! Everyone loves free stuff! If you come in for an iPod, Smartphone, Tablet or Laptop repair at our Olathe, KS or Mission, KS location you will receive a FREE tote bag. If you have any questions regarding our repair services send us an email, live chat us on our website or give us a call at 866-638-8402. Happy Halloween! It has been a fun morning and I’m having a hard time getting anything done because I’m very distracted. 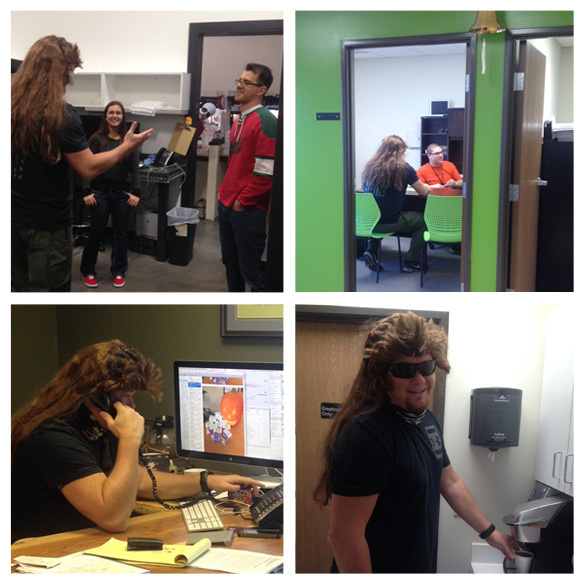 Ryan walked in this morning with a beautiful mullet wig and I haven’t been able to focus ever since. I’m not used to seeing him with long locks and I just can’t take him seriously. I decided to sneak around snap a few photos to show you what I mean (and to embarrass him a little). Let’s keep the fun and celebration going with a coupon! That’s right. Starting now thru Monday 11/3/14 save 15% with coupon code: “MULLET”. Mention this coupon to a customer service representative at one of our walk-in locations or use it at check-out on our website to save 15% on your entire repair order. Keep in mind this coupon code cannot be combined with any other coupon and is ONLY valid on new orders. How are you celebrating Halloween today? Have any fun costume ideas? We’d love to see them. Share your photos with us on Facebook, Twitter or Instagram and have a safe and Happy Halloween! While The Boss Is Away, Save 10%! Ryan and Jake are headed to the Denver area to secure the next Mission Repair Express location. It sounds like they have narrowed it down to a few good locations and begun the negotiations. While they are out, we are going to run a special today through Monday 10/27/14 at midnight. Use coupon code “ROCKY” for the cracked screen repair on your iPhone, iPod, Computer or Tablet and save 10% off your entire invoice! I’m sure Ryan will have some good news for us when he returns and we will have the Denver store open before you know it. We will be in touch. In the meantime, have a great weekend and save 10% now thru Monday! iPhone 6 Screen Repairs? Yes We Do Those Too. The new iPhone 6 and iPhone 6 Plus, released about a month ago, are larger and thinner versions of the iPhone. While both models are beautifully designed, they are not indestructible. 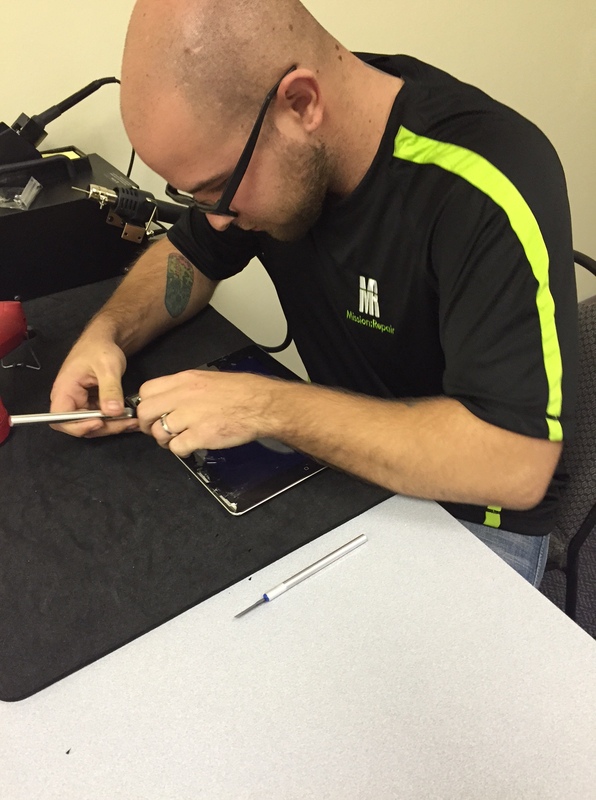 These iPhones are still easy to drop, and at Mission:Repair we know accidents happen and we are here to help! We have already received a ton of these devices into our repair center and if you are in need of a screen repair for your iPhone be sure to give us a call. Our certified technicians will remove the broken screen from your device and replace it with a brand new Glass/Digitizer/LCD assembly. Our normal turnaround time is 24 hours but if you need your device repaired faster than that – we offer same-day services as well. Interested in our repair services? 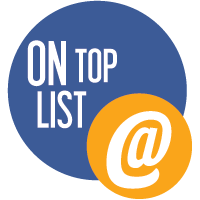 Click one of the links below or give us a call at 1-866-638-8402 to speak to one of our customer service representatives.